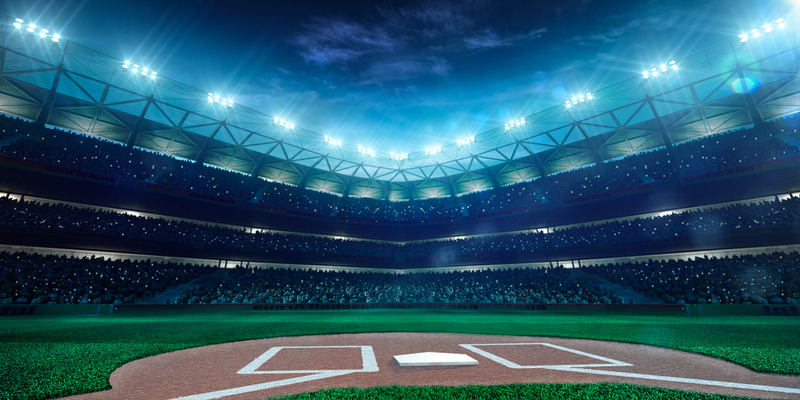 Anyone who has played fantasy baseball knows it is a long season littered with peaks and valleys of performance, which ends in apathy, crushing defeat or glory. Fantasy sports have burst into the mainstream over the last several years. They have evolved from a group of men in a basement making picks on paper to a multibillion dollar industry with the newest twist adding an exciting and immediately gratifying experience—daily fantasy leagues. Download the app, deposit some cash and start winning. Those that watched the Major League baseball All-Star Game saw DraftKings branding strewn about Cincinnati’s Great American Ball Park—they even awarded several winners with free trips to the game. DraftKings is a daily/weekly fantasy service that allows users to select a team to compete against others for a cash prize. While this sounds a lot like gambling, it skirts this tag, as it is considered a game of skill—gambling denotes playing games of chance for money. It is somewhat ironic that the MLB allowed such a strong DraftKings presence at its mid-summer classic considering the host city and one ‘Charlie Hustle.’ For the first time in decades, Pete Rose, baseball’s all-time hits leader (4,256 to be exact), was allowed to participate in on field activities at a MLB event. Rose was a key cog of the ‘Big Red Machine’, playing from 1963-1986 and later managed from 1984-1989. He was banned for life from baseball in 1989 for allegedly (which we know now to be true) betting on baseball; and in 1991 was determined to be permanently ineligible for the baseball Hall of Fame. A name and logo littering advertisements and stadiums, in addition to DraftKings, is FanDuel. FanDuel, much like DraftKings has not been around long but has certainly made its presence felt. Raising over $360 million dollars from firms like Google Capital, NBC Sports and Comcast, the daily fantasy sports service is valued at over $1 billion. According to a recent announcement, the company has over one million paying users and this number has grown exponentially in the past 12 months. Joining the fray this month is none other than Yahoo, as it notes that the number of fantasy sports players in the U.S. and Canada rose from 40 to 56 percent in the last year. Yahoo should know, as it is one of the preeminent fantasy services available today, but recently made a foray into the daily fantasy space. The move by Yahoo should come as a warning shot to the two startups currently in control of the daily fantasy market because unlike FanDuel and DraftKings, Yahoo is not a startup—and, not to mention, has been hosting fantasy leagues since before either competitor was a sparkle in its founders’ eyes. What does this mean for the market? Well, FanDuel and DraftKings are burning money for marketing at an alarming rate. So while their popularity is growing and business models appear viable this could turn into an issue down the line. When one looks at Yahoo, it already has a base of over six million fantasy users, and the crossover to daily leagues wouldn’t be much of a stretch considering one is already registered; it would literally be a one-stop-shop for all of a fan’s fantasy needs. The New York Times reported that ESPN was close to pulling the trigger on a daily fantasy service but Disney, its parent company, was concerned it could tarnish the company’s family image. The daily fantasy sports market is in its adolescence but is maturing, and as more companies see the growing dollar signs, Yahoo may not be the only major player throwing its hat in the ring. Stay tuned as this will not be the end to this conversation, a new chapter has just begun and I would expect more to come in the not-too-distant future.